Take an Extra 10% OFF on order of $150 or more from IGP. All orders are shipped in 2 to 3 business days from our warehouse in CA, USA. Items under 1 lbs are shipped using First Class USPS mail and the rest via USPS priority mail. This item in Festivals & Pooja category was first added to our catalog on 10-21-2017. 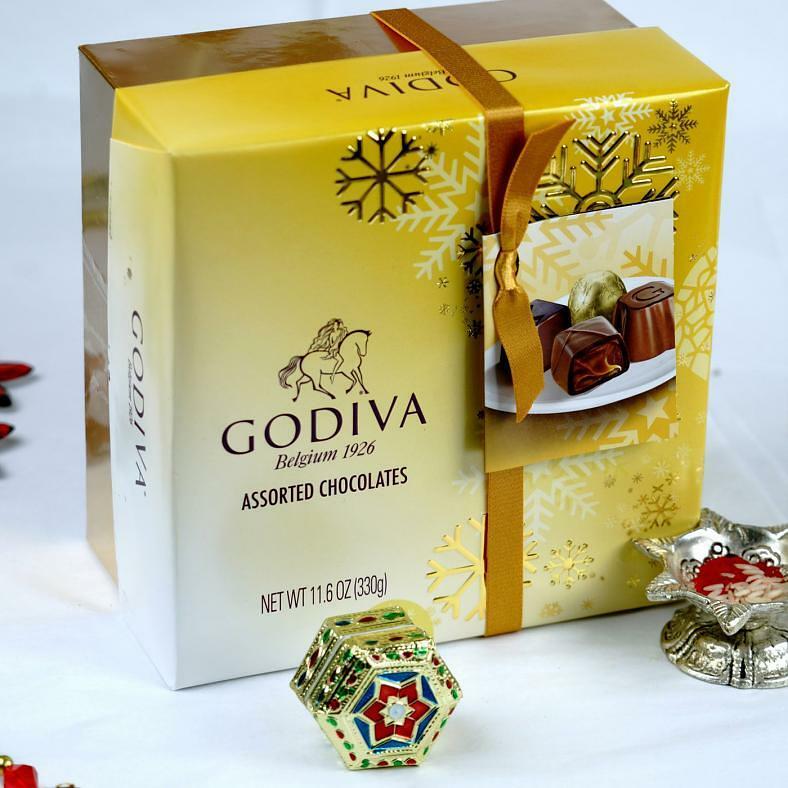 Buy Beautiful Bhaidooj Tikka w/ Godiva Assorted Chocolates, sold & shipped by IGP where you can shop online for Exclusive Collecton of Indian Handicrafts, Festival Items & Ethnic Gifts. This Other Festivals collection has been tagged as USTKBD0012,USCHCO0045, festival bhaidooj, bhaiduj fit, send indian gifts to usa. There may be slight variation in the gift design. Mithai if included, is shipped from a reputed brand. Packaging will be different than the picture. Leaf Shaped Metallic Ganesha Car Hanging 9"
Stonework Tirupati Balaji Car Hanging Idol 6"